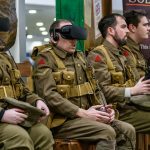 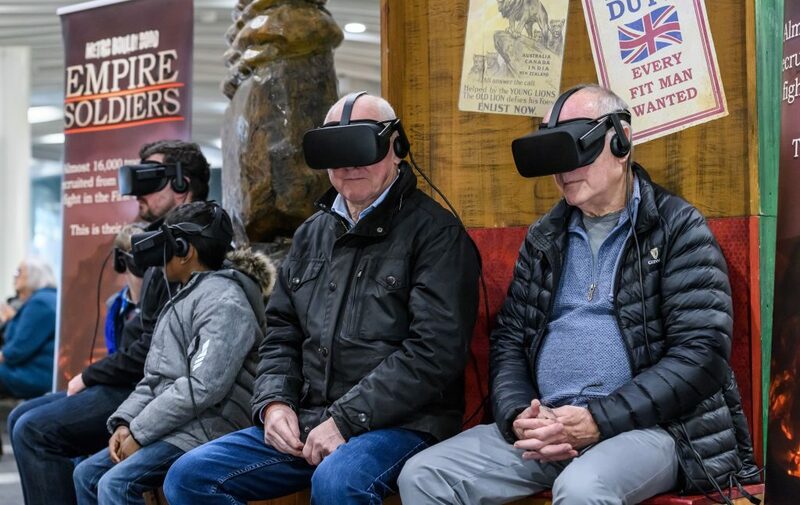 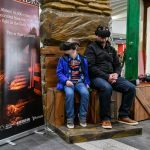 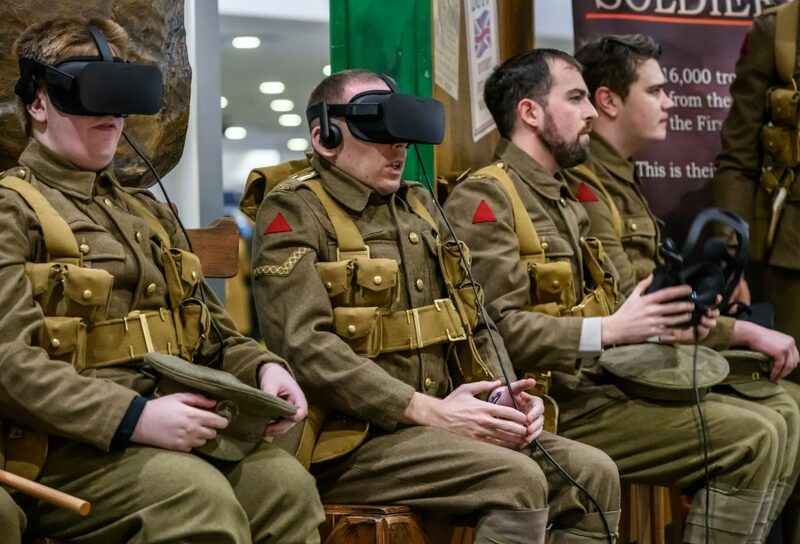 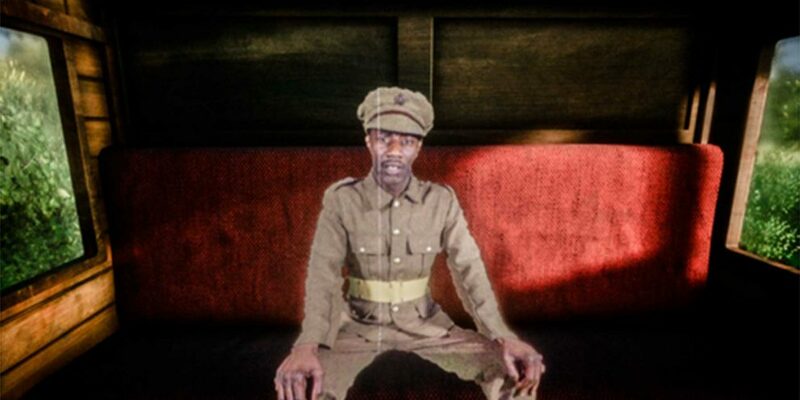 Empire Soldiers was a breathtaking virtual reality installation telling the compelling stories of the forgotten Caribbean and South Asian soldiers of World War One. 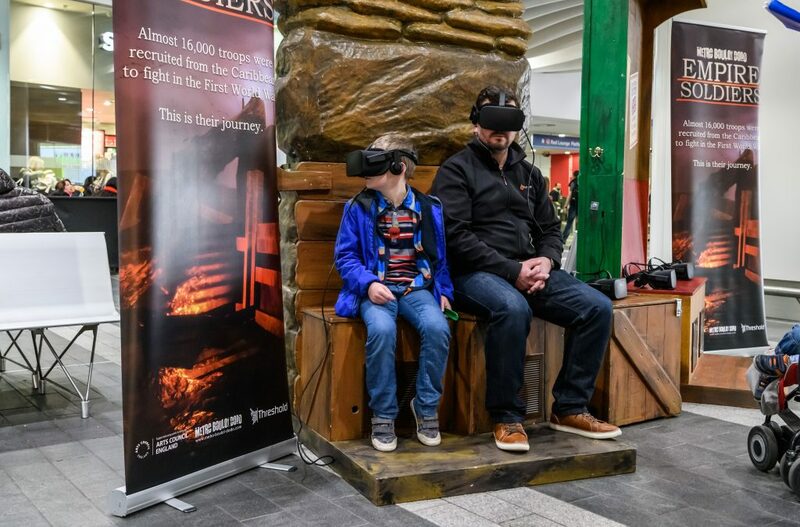 Blending performance and technology, theatre company METRO-BOULOT-DODO use Virtual Reality and film to create a truly immersive experience that is both emotive and unforgettable. 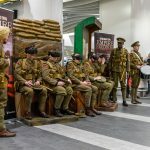 Hear captivating stories of the battlefield as you are joined by returning soldiers and share the emotional experience heading home. 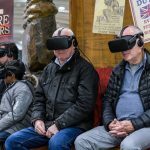 As the journey continues to the present day, focus turns to changes of the past 100 years and the impact of migration on the world today. 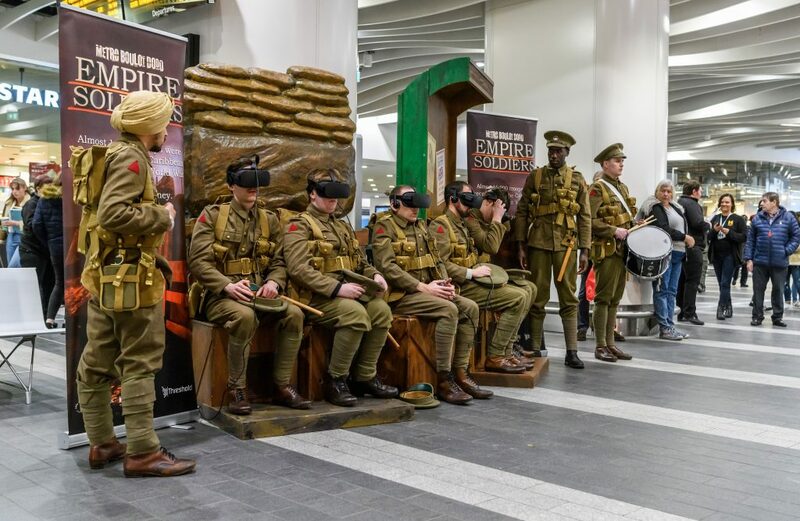 Empire Soldiers could be viewed in Birmingham Hippodrome’s foyers during October Half-Term and at Birmingham New Street station in the build up to our Homecomings project on Sun 11 Nov.
Drop in – no need to book.